Summer has arrived here in South Australia. Already during spring we have had many days with temperatures over 30C (86F) and the forecast is for a hot, dry summer. In my home town of Murray Bridge we frequently get days over 40C (104F) and occasionally the thermometer soars to as high as 46C (115F). Whatever the temperature in summer our birds often suffer from the extreme heat and hot searing north winds. 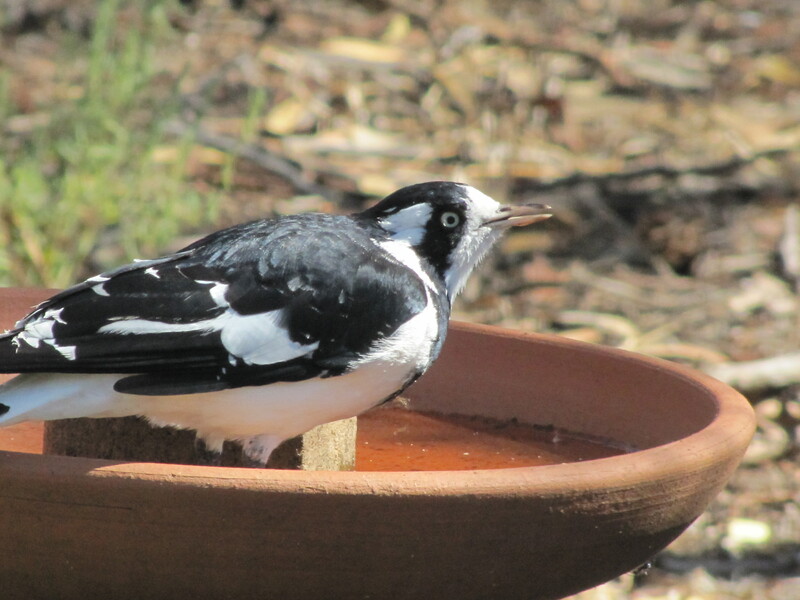 On days of high temperature there is a constant stream of birds visiting our bird baths in our garden. They not only appreciate a drink, they often take a dip as well. On days of extreme heat their very survival depends on having access to water. The death rate during hot weather would be very high. My advice would be to put out some dishes of water, or invest in a birdbath; there are many different styles available so check out your local garden centre or pet shop. 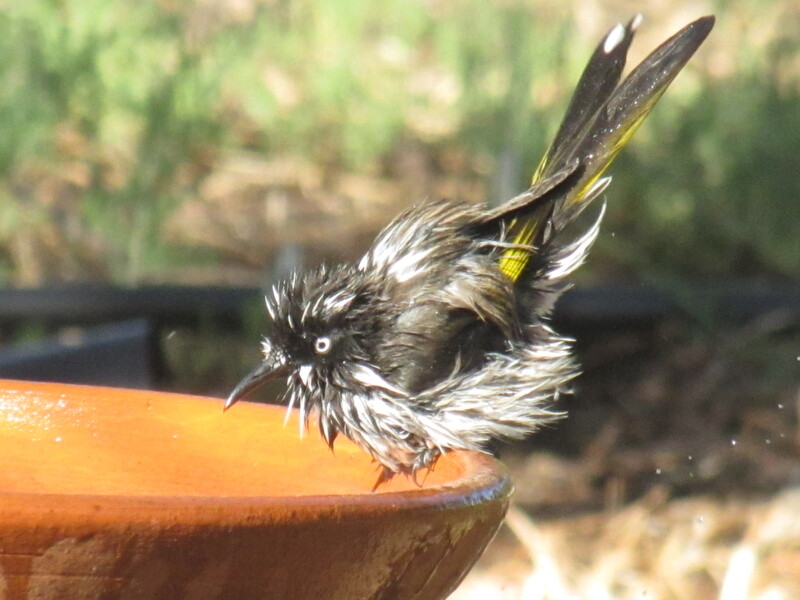 Check the birdbaths every morning, replenishing the water as necessary. And don’t forget to scrub it clean once a week (but don’t use any detergent or other cleaning agents – just a brush will do). Keep the water coming – your garden birds will love you – and keep coming back again and again.